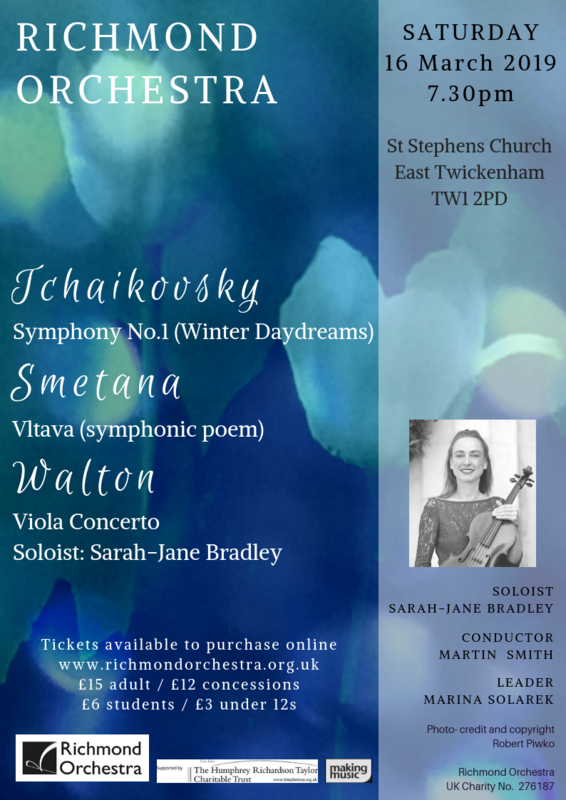 The Richmond Orchestra performs four concerts a year with a wide ranging repertoire plus several other musical events in the London Borough of Richmond upon Thames. We rehearse in Kew on Wednesday evenings. Tickets available on door or reserve online at https://www.wegottickets.com/event/461174. We have vacancies for French Horn, First Trumpet, Tuba, Double Basses, and First Violins. Follow us on Twitter at www.twitter.com/ROrchestra and Facebook at www.facebook.com/richmondorchestra.